Marysville School District is committed to providing a safe and healthy environment for our students, staff, and the Marysville and Tulalip community. We are in the fourth year of participation in the Project AWARE federal grant in partnership with the Office of Superintendent of Public Instruction (OSPI) to help foster safe school environments and provide additional services for students in need. A final step is to complete a series of climate surveys with students and staff. These surveys are designed to provide information on school climate, school and community safety, and student behavior. All students in grades 3, 5, 7, 9, and 11 will participate in the 15-minute climate survey at school between now and February 15. 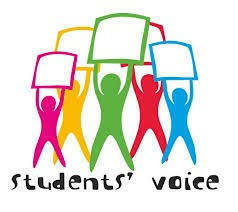 The survey will ask students questions about student safety, bullying and student engagement. The survey is anonymous and no personal student information is collected. Student voice is extremely important in this process, and we look forward to a high participation rate throughout the district. If you would like to excuse your child from participation in this survey, please call your school’s office.